We are known as the reputed organization in this field of operation, engaged in manufacturing, exporting and supplying a wide array of excellent quality Cashew nuts Color Sorter. Offered machine is manufactured using premium quality components in compliance with market standards. The offered machine can be availed from us in various specifications as per the variegated requirement of our prestigious patrons. Besides, this machine is widely used for sorting cashew nuts. 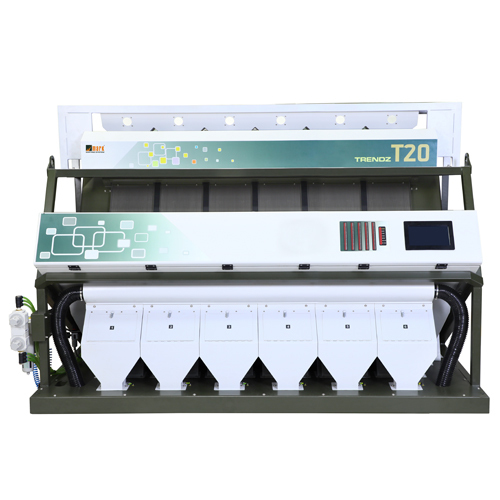 Furthermore, this Cashew nuts Color Sorter is stringently tested on various parameters by quality experts.